We have previously reported on the new iPhone models we anticipate will be launched at Apple’s September 12 event in Cupertino; an OLED iPhone XS, iPhone XS Max and an LCD iPhone 9. Similarly to the (*cough* utter flop *cough*) iPhone 5C, it has been rumoured that the iPhone 9 will be released in a range of colours, with some sources claiming as many as 7 new shades have been developed. Whilst we find it hard to believe that it would be supply-chain efficient, or cost effective to range 7 colours, it’s certainly feasible that there might be a few new shades. 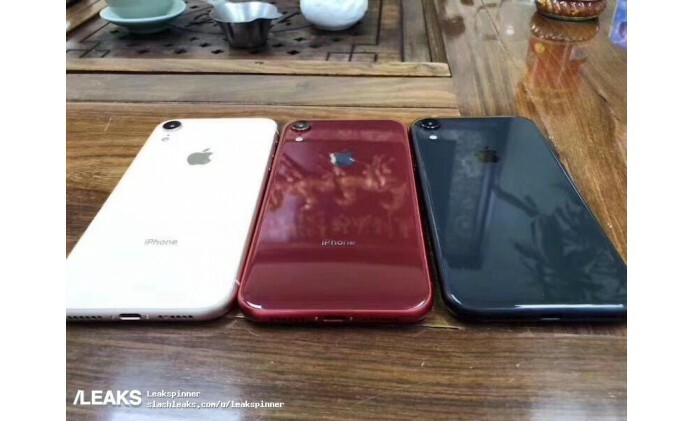 Adding fuel to that fire today was the “leak” of apparently real pictures of iPhone 9 dummy handsets in new shades of red and blue, by a user known as “Leakspinner” on popular site Slashleaks. Whilst we can’t comment on the legitimacy of the pictures, they certainly don’t look like they’ve been digitally constructed. Interestingly, the pictures appear to support another rumour that has been doing the rounds: that the iPhone 9 will feature dual SIM capability, with one of the pictures clearly showing a SIM tray with 2 slots. The feature is only rumoured to be available on the iPhone 9, however. Perhaps Apple testing the market? Time will tell.